Maine is in the midst of its wild blueberry season right now. Pickers are busy raking bushes and packing berries. It's been a tough summer though with unusually high temperatures along with a lack of rain. Indeed, growers of highbush berries in some parts have already finished for the year. "The intense heat this summer has shortened our picking season because the berries ripened so fast," said one grower. For wild blueberries pickers in the eastern part of the state though, there is still several weeks to go of decent picking. "The season began on time and will likely last until September," said Dell Emerson of Wescogus Wild Blueberries. "We had some really hot days earlier and we need some more rain. There hasn't been much rain recently but the weather seems to be turning around now. Some cooler nights would be ideal for better color on the berries." Emerson believes the crop will be slightly down on last year. "Typically, the state of Maine raises between 85,000,000 to 100,000,000 pounds of wild blueberries each year," he said. "But we think that this year, the crop will be down state-wide, largely due to a frost that occurred during the bloom earlier this year. Canada has also been affected this year, with a large portion of Nova Scotia's crop lost." 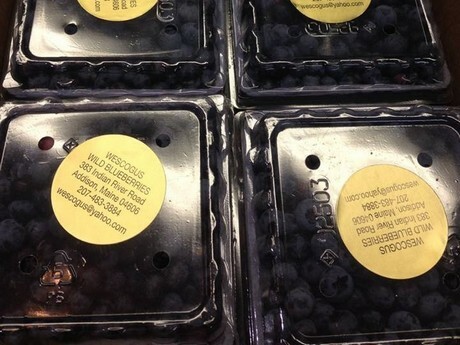 Maine is well known as a major source of wild blueberries, but suppliers are feeling the pressure from increasing competition, not just from other regions, but from the highbush growers. All of these factors are driving prices lower and creating uncertainty within the industry. "The market is stable right now, but on a broader scale, there is a lot of competition which is hurting Maine suppliers," Emerson observed. "Last year, we raised 100,000,000lb, but just across the border in Canada, they collectively raised 400,000,000lb. That is some big competition. Additionally, highbush - which is more heavily promoted - is a major competitor from regions as far as Mexico and Chile, as well as in the state of Maine itself. There is too much supply for the industry to remain sustainable as it is." The frozen market is a vital part of the wild blueberry industry, and indeed almost the entirety of the wild blueberry crop ends up there. However, cultivated blueberries are being used more commonly because they are more stable and easier to source. The USDA has been of assistance in this regard for several years now. It was recently announced that it would step in again this year, purchasing 8.9 million pounds of Maine's wild blueberries. But how sustainable is this? According to Emerson, more promotion will provide better visibility to the fact the United States does cultivate wild blueberries. He said that if only more people knew about this simple fact, demand would improve. A key to this will be to emphasize the advantages of wild blueberries over the cultivated ones. "There are literally thousands of different varieties of wild blueberries, most of them nameless," he explained. "As one of the last native North American fruits, wild blueberries have been growing here for tens of thousands of years and have also been used by Native American tribes for centuries. 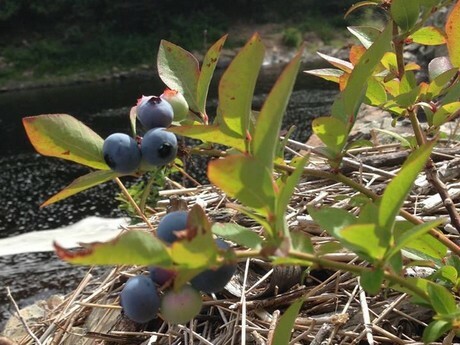 Wild - or lowbush - blueberries have twice the amount of antioxidants as their highbush cousins. Yet, highbush blueberries are heavily promoted in cookbooks, nutritional guides, online, and elsewhere. We hardly see any wild blueberries and they need to be promoted. Consumers need to be made aware of the health properties as well as the fact that they are in fact a wild product, which are usually highly sought after." The Emersons are doing their part in educating people about the wild blueberries of Maine. Dell and his wife Marie built Wild Blueberry Land in Columbia Falls in 2001. 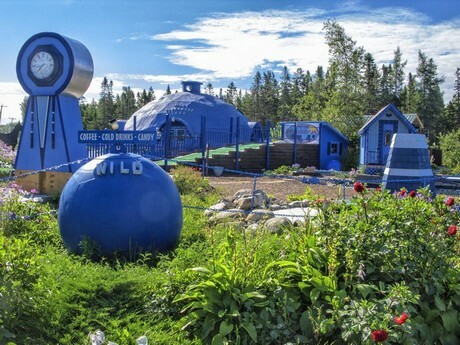 The couple built it themselves with the aim of telling the Maine wild blueberry story to visitors and encourage people to have a close look at wild blueberries. They are now planning to open a heritage center and virtual museum as part of helping raise awareness of the local industry. "I worked for the University of Maine for 53 years on the only wild blueberry research farm in the US," Emerson shared. "Then, with dedication to saving small farms and preserving the environment, we built Wild Blueberry Land. The Native Americans held wild blueberries in high esteem. Wild blueberries have been proven to provide many health benefits, can be used to preserve meats and other foods, and is absolutely delicious. Maine has been blessed with this completely natural, wild, and wonderful treasure."